Miss Donna and Mr Jay are creating the most amazing balloon project the Sunshine Coast has ever seen! 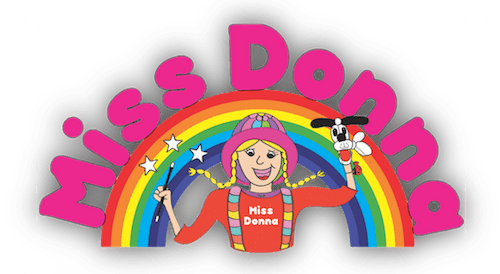 Known around the world for spreading colour and joy, Miss Donna has been a children's entertainer for over 15 years and twisting balloons for more than 25 years. In that time, she has developed a repertoire of 1000's figures and has worked in a variety of settings, from corporate and festivals to shopping centres, workshops, birthday parties and events in Australia, Germany, Austria, Belgium, Scotland, England, Holland and America. Miss Donna now holds 7 international awards for her balloon twisting designs. These awards were won while competing at world balloon twisting conventions in America. Miss Donna The Clown also appears as Fairy Donna and Daring Donna The Pirate. 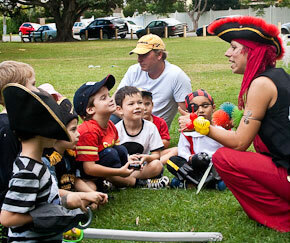 Performing magic shows, pirate shows, and tailoring packages to suit events with balloon twisting, face painting, juggling, magic, circus and balloon workshops, and much more. She has a small team of specially trained performers now all based on the Sunshine Coast in Queensland. From her local base on the sunshine Coast she also travels to Brisbane and Gympie for children's birthday parties, and all types of events. 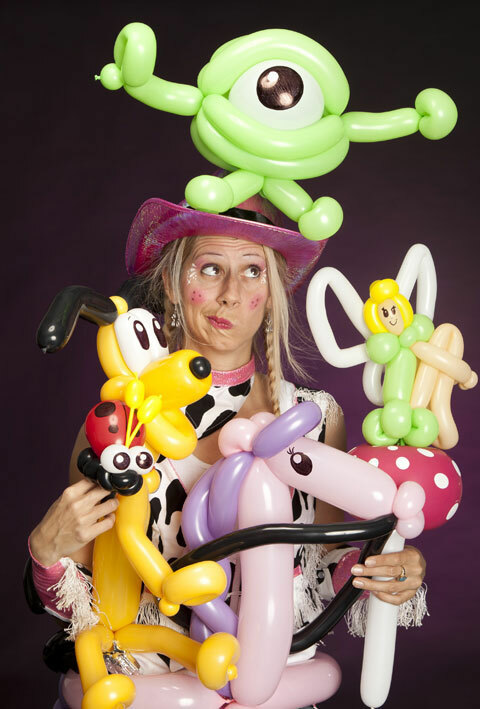 Miss Donna loves to make balloon art and entertainment accessible to all ages, not just children!! Using magic and circus along with creating multiple balloon twisting figures. From large complex balloon decorations, or cartoon characters, to small and intricate dragons... or maybe even a lady-beetle bracelet, Miss Donna will bring a smile to anyone's face! With Miss Donna, you can be assured of getting only the best quality, most professional entertainment available. Your guests will be delighted, and your event will have that colourful flair that only balloons can bring. Speak to Miss Donna personally to enquire about entertainment for your next event. Call 0411 177341, or send an email below. Using magic and circus along with creating multiple balloon twisting figures. From large complex ballon decorations, or cartoon characters, to small and intricate dragons... or maybe even a lady-beetle bracelet, Miss Donna will bring a smile to anyone's face! EVERYONE loved you! You are extremely great at what you do. Thank you. Thank you for helping to make my birthday party more special. My friends and I had a great time. 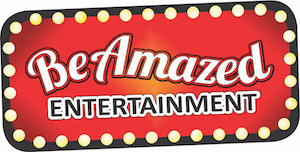 Be Amazed Entertainment is a team of world class performers providing an amazing range of talents for all types of event.